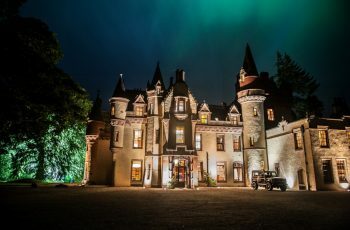 Aldourie Castle offers complete seclusion on the quiet south shore of Loch Ness…. 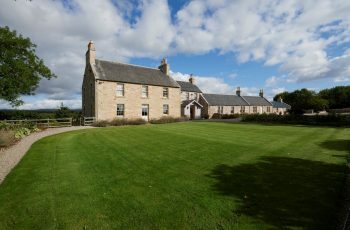 Built in the style of a grand traditional Scottish Laird’s country house, this is a modern eco house with the luxury for today’s holiday expectations. 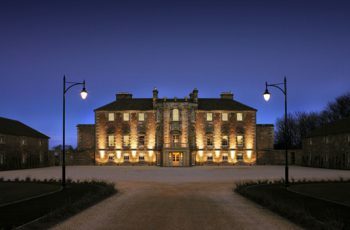 Archerfield House is the perfect setting for a special event or celebration providing fully catered accommodation for up to 30 guests in the Mansion House. A Golfer’s dream! 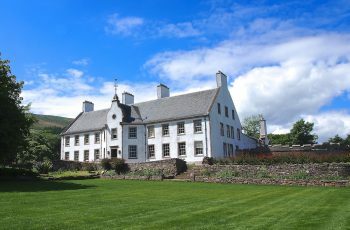 An 18th century stable square beautifully converted into an elegant nine bedroom house located in a wonderful Highland setting of the 20,000 acre Novar Estate. 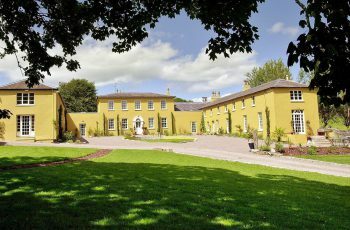 Ballinacurra is a fantastic house decorated to a very high standard offering guests something rather unique including winning the Best Exclusive Hire Property Award at the Luxury Travel Awards in Cannes a few years ago. 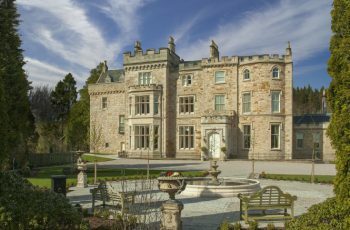 Hidden away in Ayrshire, Blair sits within 250 acres and is just twenty minutes from Glasgow International Airport. It is the perfect private hideaway for a house party, wedding, corporate retreat or location setting…. 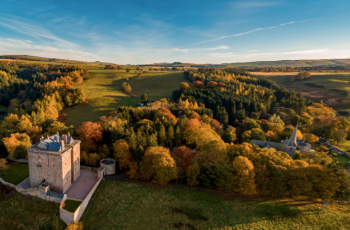 Borthwick Castle is described as ‘the finest keep in Scotland’ and on occasion played host to Mary, Queen of Scots. She once famously leapt from a window in the castle disguised as a page to flee an army of pursuers. 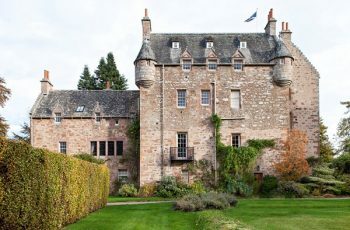 Carskiey House is in an enviable position overlooking the sea and forms part of the private 7,500 acre Carskiey Estate. Perfect retreat for family gatherings or a special celebration. 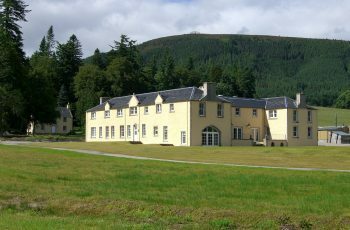 The estate offers woodcock shooting, stalking, sea-fishing and there are three golf courses in the area. 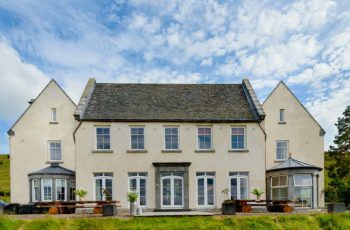 Cuthill House has been tastefully renovated and beautifully decorated throughout and now offers luxury accommodation for a party of up to 9 guests. The property enjoys lovely far reaching views over the surrounding countryside to the sea. 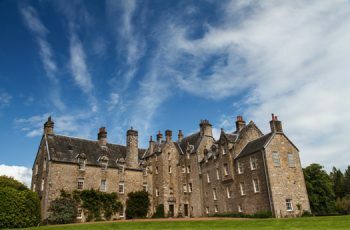 Dalcross Castle is a classic Scottish tower house complete with a beamed Great Hall and large fireplace, a stone spiral main staircase, a secret staircase, turret rooms, shot holes and arrow slits! 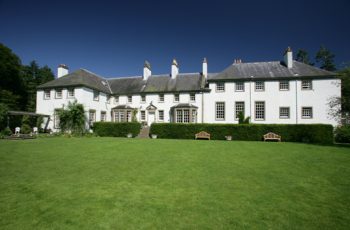 Drumkilbo is a historic manor house available on an exclusive basis for your family holiday or house party. George Goldsmith Ltd, 48 North Castle Street, Edinburgh EH2 3LU Scotland.